A chill, laid-back funny guy: This is how junior second baseman Connor Kopach defines himself off the field. 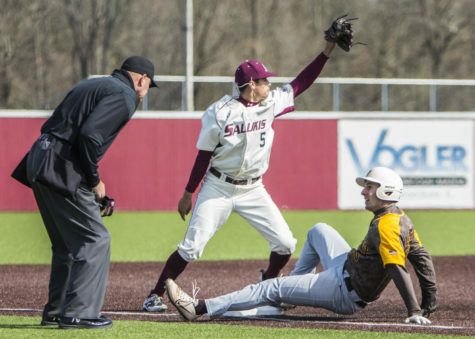 On the field, he is one of the fastest baserunners in all of Division I NCAA baseball, and one half of one of the best double-play duos in the league. Baseball was one of many sports Kopach played while growing up Illinois. He credits his father for instilling a love for many sports early on in his life. Kopach also took part in gymnastics in his younger years. Kopach continued to play multiple sports in high school. But his father stressed the need to keep his grades up to ensure the young athlete continue his education and sports career in college. While he managed to keep his grades above average, Kopach struggled with a low batting average his first two years in high school. The young hitter decided to seek help with his approach at the plate after his sophomore year in high school from Steve Hayward, a hitting instructor at Strikes! Baseball Academy. Kopach credits Hayward with helping him see the ball better and start hitting for a high average going into his first year on the varsity squad. 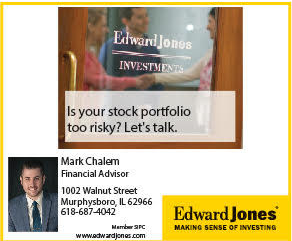 Even with a batting average north of .350 and elite fielding skills as a varsity player in high school, Kopach said he did not have many suitors from the college ranks, and none from the pros. He attributes this in part to his stature in high school. He was “smaller than most” at just under 6 foot and barely 150 pounds. 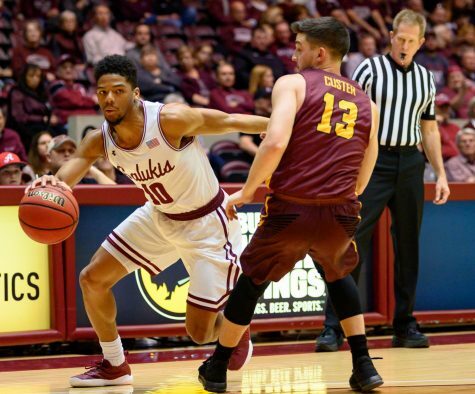 Kopach said he planned on looking at Division II and Division III colleges — as well as junior colleges — before his father and Saluki Hall of Famer Tom Baugh stepped in to lend a helping hand. 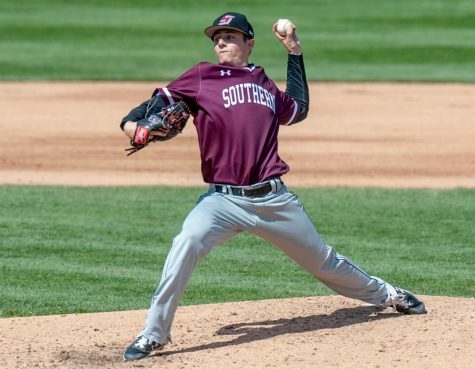 Kopach quickly made a name for himself on the SIU baseball team, earning a starting spot as a walk-on freshman player for the 2014 season. Even though it came as a welcome surprise to him to be a starting player as a freshman, he believes his hard work and hustle earned him the right to be on the field. 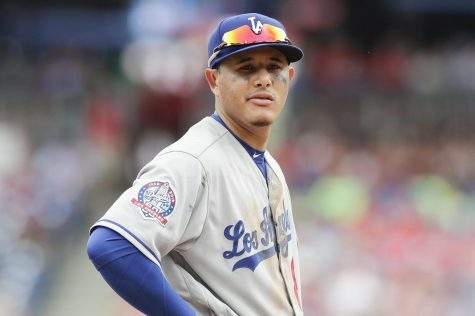 But his sophomore year did not go as planned, as an early injury to his wrist in the first series of the year cost him the remainder of the 2015 season. Taking a medical red-shirt for a fracture in his left wrist, he retained a year of eligibility. 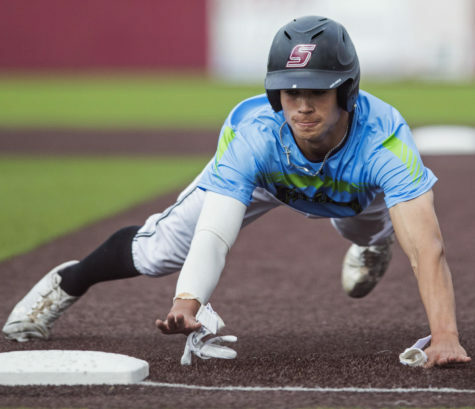 To keep sharp after missing the bulk of the 2015 college season, Kopach signed with the Walla-Walla Sweets of the West Coast College Summer League. 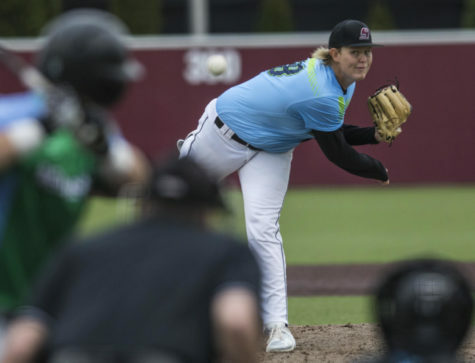 Playing under Assistant Coach and former Saluki baseball player Parker Osborne, he credits the West Coast League’s elite pitching with getting him back in shape for the 2016 Saluki season. 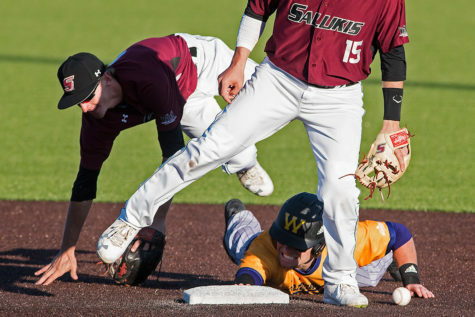 As a redshirt-sophomore for the 2016 season, Kopach earned an Honorable Mention All-MVC Team honor as the Salukis second baseman. 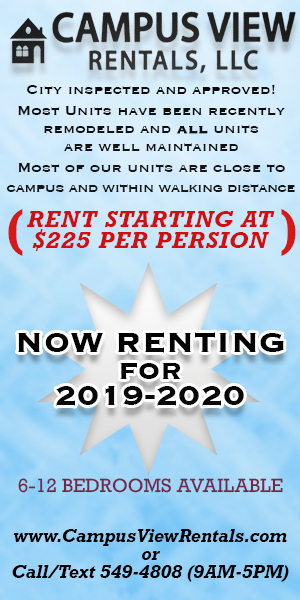 He parlayed this into a contract with the Northwoods College Summer League where he set a league record with 50 stolen bases over a grueling 72 game schedule in 75 days. 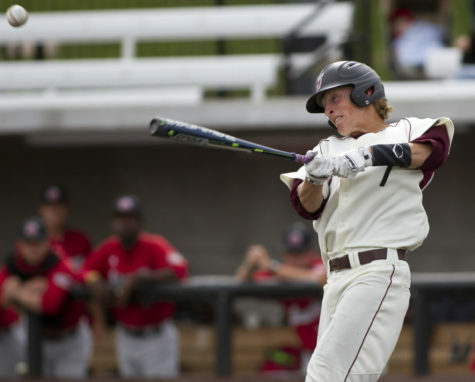 The Northwoods League was also the first time Kopach gained exposure with MLB scouts. 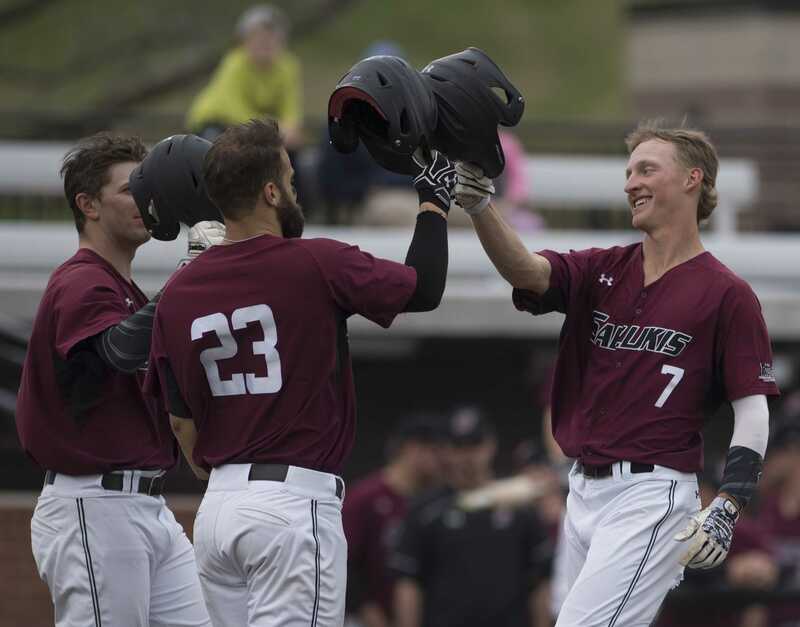 The Saluki keystone earned mid-season and post-season All-Star honors in the Northwoods League, as well as being chosen by a panel of MLB scouts to take part in the Major League Dreams Showcase at the end of the summer season. 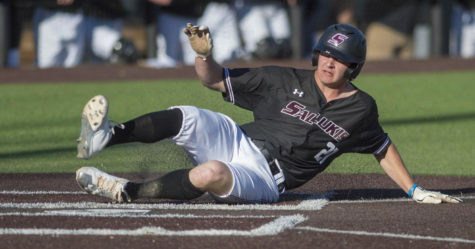 This season with the Salukis, Kopach is continuing to impress pro scouts — being ranked 16th overall pro prospect in the MVC and 19th overall second baseman in the NCAA by DI Baseball. He is also tied for fourth overall in steals in Division I NCAA baseball with 18 steals on the season. Then redshirt sophomore infielder Connor Kopach hits the ball Friday, May 13, 2016, during SIU’s 9-5 loss to Jacksonville State. Kopach went 3-4 during the game. 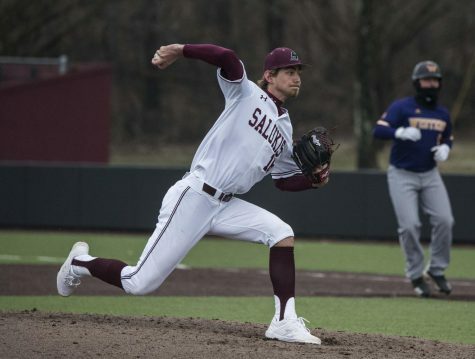 With the 2017 MLB June Amateur Draft just around the corner, the Saluki keystone is aware of his potential to be drafted and already has a plan in mind. Kopach explained that he hopes to be picked in the top 15 rounds this year in the draft, if he is chosen at all. But this is not his biggest concern at the moment. Regardless of what happens with the draft, and his future in pro baseball, Kopach said he wants to become a coach some day. 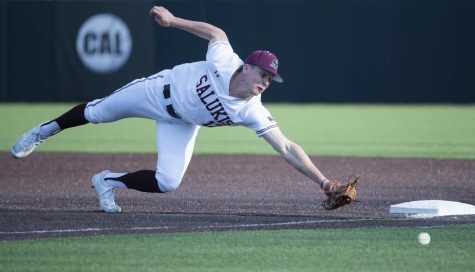 Kopach credits the coaches at SIU with giving him the opportunity to play baseball at the Division I level, and the chance to earn his education both in the classroom and on the ball field. The Saluki keystone also hopes to lead the team in fulfilling the potential the coaches see in this year’s squad.